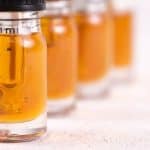 When you are looking for a grinder to help you breakdown tobacco, weed, or herbs into a fine textured, perfectly smokable product, then quality is key. Not all grinders are created equal as there are many grinders that just will not stand the test of time and will break. 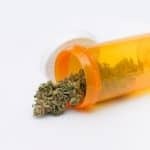 Thankfully, we have high end herb grinders like the Chromium Crusher that will last and will get the job done again and again. 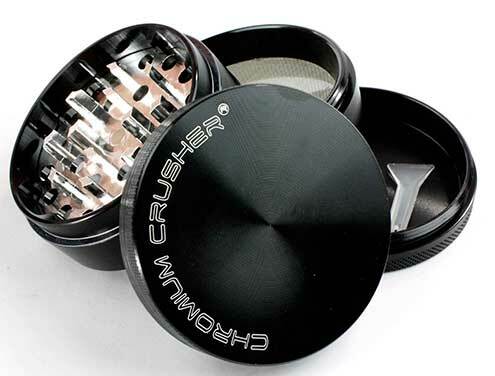 The Chromium Crusher is a 4 piece grinder that comes in various sizes including 2.5″, 2.2″, 2.0″, and 1.6″. Each grinder has a height of 1.75″. Not only that you can also find Chromium Crusher grinders in many colors from your standard black to a wicked purple. Having these color options ensures that not only will your grinder give you the product you desire, but will also look great when being used. So let’s get down to what matters, the grinding capabilities. The teeth on this grinder are diamond shaped, tough as nails, and optimize the shredding capabilities of the Chromium Crusher. This grinder is made from zinc alloy, which makes it heavy duty and able to stand the test of time. The teeth with this grinder move smoothly as the grinder is rotated to shred tobacco and herbs. the magnetic is not quite strong enough and if you are not careful the top may still come off when grinding. 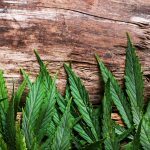 We recommend that as the case with all grinders to be cautious when using the grinder so that you do not spill any of your herb. Hint: don’t turn this thing upside down and you’ll be just fine! 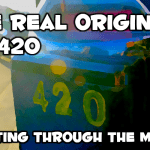 Now let’s take a moment to talk about why having a 4 piece grinder is incredibly important when grinding weed and herbs. 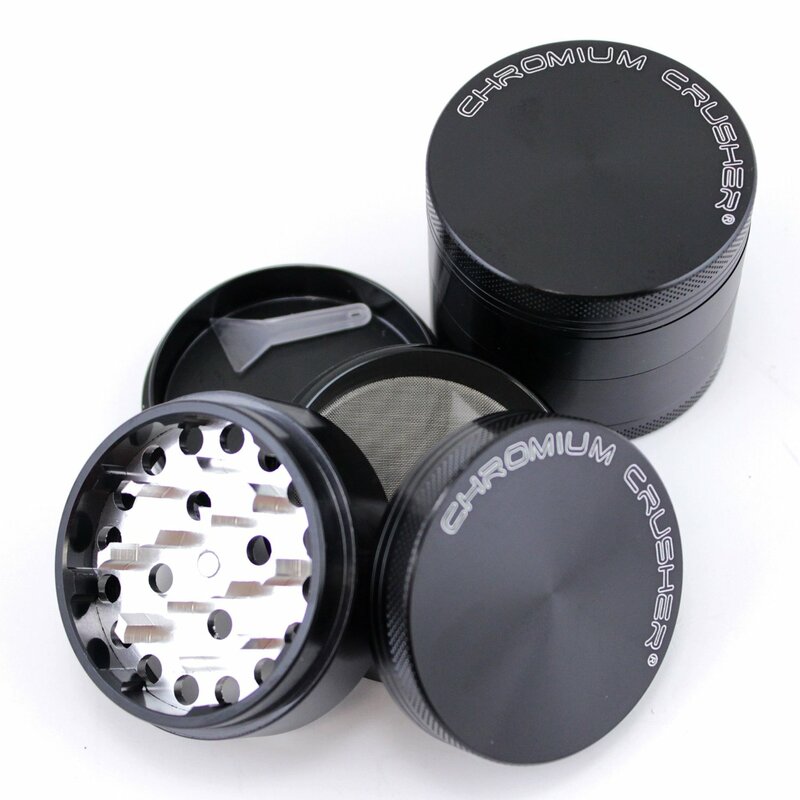 As is the case with the vast majority of 4 piece grinders the Chromium Crusher has a screen built in that will capture the most fine pieces of herb to create an even more intense experience. This fine residue is what is often called kief, which is why having a great grinder makes all the difference in the world. 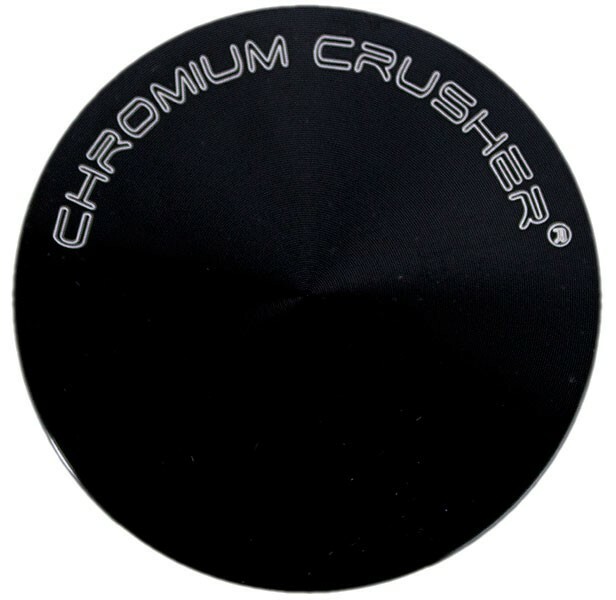 To wrap things up we feel that the Chromium Crusher is a high quality grinder that will not let tobacco and herb enthusiasts down even through continued use. Your friends will certainly want to know where you got this awesome grinder the next time you hang out to chill. See the current price of this grinder here. 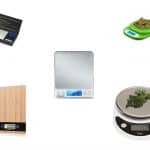 If you are looking for another high quality grinder then we recommend you check out our reviews of the Space Case Grinder or the Santa Cruz Shredder.